A treat for St. Elsewhere fans--Tom Fontana's very first script for television, for the show's third episode. Writer and producer Tom Fontana. Tom Fontana has had a long career in television which started on St. Elsewhere, and led to his critically-acclaimed dramas Homicide: Life on the Street and Oz among others. 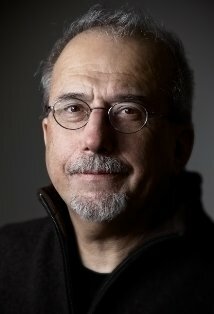 At his website, www.tomfontana.com, he was graciously posted some of his scripts for the public's enjoyment, including one from St. Elsewhere. It's the very first script he wrote for television, back in 1982, for St. Elsewhere's third episode, "Down's Syndrome". He had previously been a playwright, and had never written television before this. The page linked below explains the background behind the episode, including how his portrayal of Down's Syndrome drew criticism from George Will, who has a Down's child. If you recall the episode, you may notice a scene that was excised from the version that aired. In it, Andrew Rhinehardt's parents tell the story of how their terrorist-bomber son lost his way. IMHO, they made the right choice. What was left in--a brief comment about how he fell in with political radicals--was enough to paint the picture.